It’s the little things that count; paying attention to the small details can transform your wedding day from good to great. But with so much to organise, it’s hard to dedicate time and resources to the all the little extras like wedding favours and stationery. This is why we’ve hand selected our favourite suppliers in Cheshire so you have help creating a sensational wedding for you and your guests. 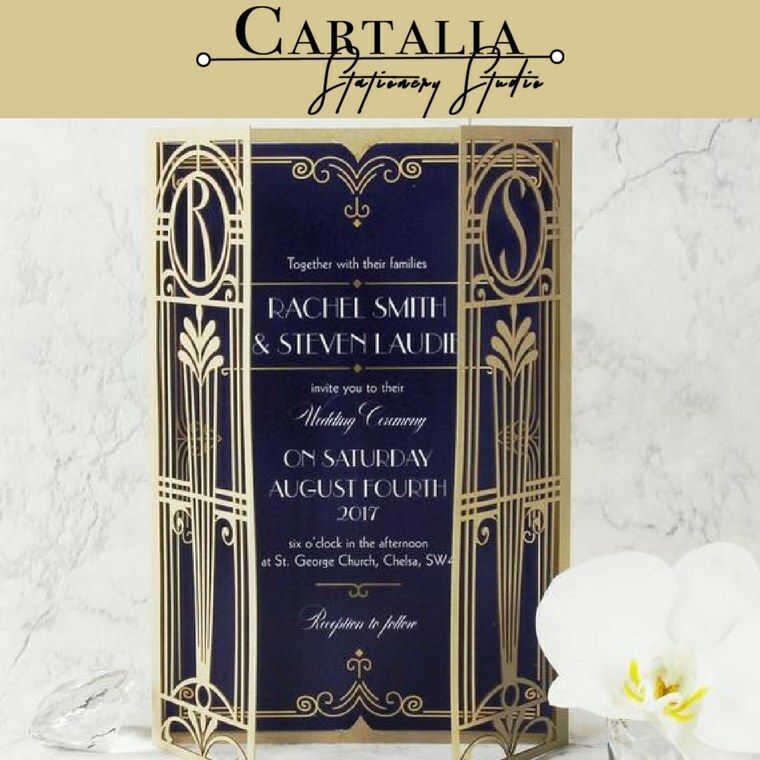 Cartalia specialise in personalised one of a kind laser-cutting art, letterpress, foil prints & more. They have a range of luxury boards and ribbons and all of their cards are hand made, starting them completely from scratch! I Do designs is a luxury Wedding Stationery business based in Cheadle, South Manchester. All stationery is made to order and free samples and consultations available on request. We specialise in Invitations, Save the Dates, Table Plans, Orders of Service, Table Names, Place cards, Menus and much more! Two Manchester-born girls, two graphic design degrees and a whole lot of adventure! With an eye for opportunity – they use their experience and motivation to approach any and all projects specialising in Bespoke Wedding Stationery and have made many happy clients along the way. Browse through their website and take a look at examples of their Wedding Stationery and Graphic Design projects to get a glimpse of how they work.